The Pitney Bowes DM60 is the ideal franking machine for businesses sending up to 30 items of mail a day. This machine replaces the DM50 as an updated and improved version. Why consider a DM60 franking machine? Even the smallest office can benefit from introducing a DM60 franking machine. It includes the very latest Mailmark technology and with the integrated 2.5kg scale will automatically calculate your postage costs using up to date Royal Mail prices. This prevents your business being hit with fines as a result of miscalculated postage. It processes mail at a speed of 18 letters per minute meaning you can take care of your mail in a matter of seconds, giving you more time to run your business. This compact and easy to use machine is designed to make your daily mail processing more efficient, more accurate and save you considerable money on postal costs. 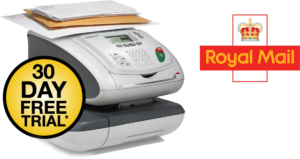 In terms of reliability, Pitney Bowes are one of only four Royal Mail approved manufacturers of franking machines. The company has over 90 years of expertise in supporting businesses all over the world and an excellent reputation for customer support. What post can you send with a DM60? The DM60 will enables you to frank First Class, Second Class, Signed For, Special Delivery and International Airmail including parcels up to 2.5kg. It is possible to increase this weight limit by purchasing an external scale if your business regularly sends larger packages. The machine is recommended for up to 30 items of mail per day but there’s no limit, so if you exceed this occasionally there’s no need to worry. Franking your mail rather than sending via standard post can deliver significant savings in both time and money. The amount you’ll save will vary depending on what type of mail you’re sending and adjusts each year as Royal Mail recalculate their tariff. The DM60 makes it really easy to stay up to date with the latest Royal Mail prices by automatically updating via an internet connection. You can add more credit to your account over the phone or over the internet. The DM60 gives you the option to set up multiple user or department accounts. This means it’s easy to monitor your mail output and what is being spent. You can print a bespoke advertising message, logos or even QR codes on your envelopes to reinforce your brand with recipients. There are also 5 marketing messages preloaded onto the machine to choose from. 4-digit PIN security ensures your accounts stays safe and prevents misuse. Pitney Bowes offer a great starter deal for new users which includes a free 30 day trial so you can try the machine with no obligation and £20 preloaded credit. With dimensions of just 351 x 231 x 264mm the machine is compact enough to fit conveniently into even the smallest offices. The DM60 can be connected to the internet via WiFi/LAN automatically downloading the latest Royal Mail postage rates. 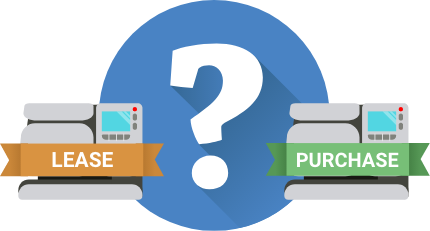 If you’re interested in saving on your business’ postage costs with a Pitney Bowes DM60 franking machine, we recommend comparing multiple quotes to make sure you’re getting the best deal.